The firm is working with local education departments, schools and private education providers to get kids playing with Lego to boost motor skills, creativity and attention spans. 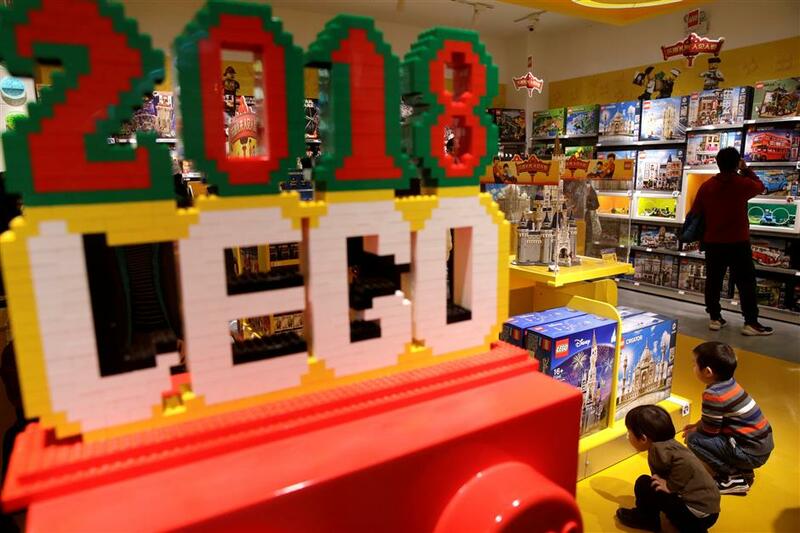 Children look at Lego boxes at a Lego store in Beijing, China, on January 13, 2018. 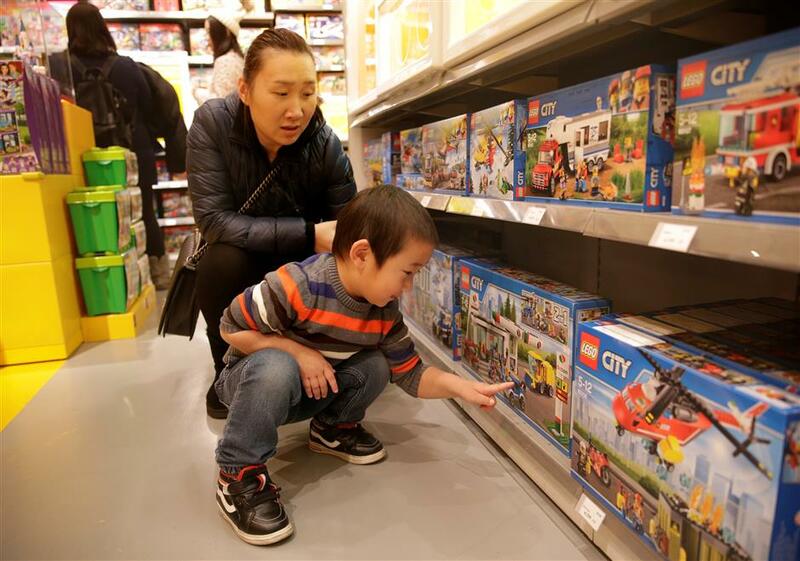 Danish toymaker Lego is hoping to build a following with Chinese parents by promoting its place in the classroom as well as the toy box. The firm, famous for its brightly coloured building blocks, is working with local education departments, schools and private education providers to get kids playing with Lego as a way to boost motor skills, creativity and attention spans. The educational push in China goes beyond what Lego does in other markets, in part a nod to the country's disciplined focus on learning but also a reflection of how the market is booming in importance as growth in the United States and Europe slows. It also taps into the desires of Chinese parents to give their children a competitive edge – even at a young age. Deng Xianyu, 48, has been buying her 8-year-old son Lego blocks since he was 2 and now sends him to Lego classes every weekend. She said she likes that the students learn specific skills such as computing and science as they play. "If it was just putting blocks together, I don't think that would be totally necessary," said Deng Xianyu, 48. "But I think it is great that they do coding (as part of the) classes." The focus on learning could help Lego in China as business elsewhere softens. In September, Lego said it would lay off 8 percent of its staff and revamp its business after reporting its first sales decline in more than a decade, with weakness especially in the United States and Europe. Its most recent revenue figures, for the first half of 2017, showed a decline of 5 percent to 14.9 billion Danish krone (US$2.5 billion at the current exchange rate) compared with the same period in 2016. China's toy market was estimated at about US$9.6 billion last year, growing close to 10 percent against 2016, according to the China Toy and Juvenile Products Association. And the preschool segment of its for-profit education market alone is expected to reach 540 billion yuan (US$85.20 billion) by 2020. In China, Lego competes with the likes of Mattel Inc , Hasbro Inc and local market leader Alpha Group. It opened a local plant in 2016 and last month signed a deal with tech giant Tencent to develop games. Education with a streak of fun is also an attractive goal for local education bodies and schools as they look to broaden their curriculums. "We see that there's a lot of interest in the government and interest in educational communities to develop children's creativity, to develop some of the soft skills like global collaboration, problem solving, communication," Lego's chief marketing officer, Julia Goldin, said. "These are, of course, all the skills that they develop through Lego." A boy looks at Lego boxes next to his mother at a Lego store in Beijing, on January 13, 2018. The building blocks are especially attractive to younger parents in major cities, who are more receptive to the Western idea of "free play" – especially if it comes with an educational sheen. Kevin Xing, a translator in Beijing, spends 10,000 yuan per year sending his 6-year-old son to classes at a Lego training center. In 2016, the two traveled to Shanghai for a Lego-building competition. "Practically speaking, it's not like piano, taekwondo or English classes – you don't see an immediately tangible impact with Lego right away," said Xing, adding that he was motivated more by his son's enjoyment and long-term development. "So I keep paying for (the classes) anyway," he said. Lego, via its education arm – which it says is kept separate from its commercial toy business – and major shareholder Lego Foundation work with academic centers such as Beijing's Tsinghua University and other education bodies. China's Ministry of Education and Lego also collaborated on an "innovative talents training program," in which more than 10,000 grade school teachers take part annually. "We are engaging with the government," said Jacob Kragh, general manager of Lego in China, adding that this was mostly related to "curriculum development and teacher training." The education business aims to "generate a new and more progressive way of teaching science, technology, engineering, and math" – highly prized subjects in China often studied by the country's political and business elite. That could be of interest to parents who are worried about their children falling behind in a highly competitive school system. "Kids still live in a very rigid system where they are sleep deprived and don't have much time to play," said Yang Dongping, dean of Beijing-based 21st Century Education Research Institute. Tu Qiaoliu, a primary school teacher in the port city of Ningbo, said her school had created a Lego project with one giant wall and smaller ones for each class. "We chose Lego because teachers believe the toys can help kids grow and develop," she said. Lego China head Kragh said the education business did not actively try to sell Legos to consumers. But parents said there was a clearly pressure to buy if their kids enjoyed the classes. A box of Lego classic blocks with 790 pieces costs 499 yuan (US$78.82) at Lego's official China online store on Alibaba's Tmall, versus US$59.99 at its US online store. "Though kids can play Lego in class, my son still asks me to buy him Lego when he gets back home," said Xing, the parent. "It is quite costly."